anyone collecting japanese game boy games? 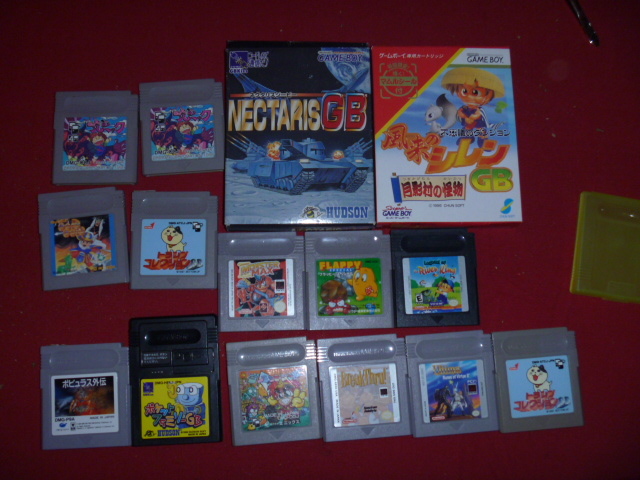 Re: anyone collecting japanese game boy games? me too. Only 300 remaining. how many JP games are there? legend of the river king - cool. i can't stop loving gb/gbc rpg gfx. ultima runes of virtue 2 - good game! pick it up! dungeon land - hot game! 1238 incl color carts is one number, but i think they missed some games actually... where does 1238 come from? I have counted there are circa 775 grey carts, that's what I care about. Thanks for all that info. I have no desire to have them all, but I'd like a couple flashcarts and a complete ROM dump library. What's it worth, the Tetris v.1? That number 1238 comes from a book that lists all releases. And yes, that number contains GBC releases. 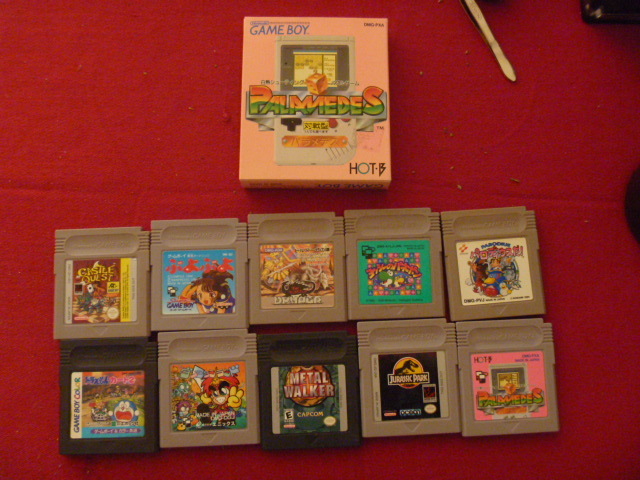 I'm only starting to collect JP game boy games. I've long been a Pokemaniac, so I want to get all the Japanese Pokemon GB/GBC games first before I start on any others. I currently have Gold, Silver and Crystal, and TCG 1 and 2 with the boxes, and waiting until I find boxed copies of the rest. I'm also somehow interested in other monster-collecting RPG games for GBC - Dragon Quest Monsters, Telefang, Bugsite, Card Hero, Space-Net, etc. I'm also looking for the Sailor Moon and Cardcaptor Sakura games. Nice to hear that there are people interested in such things. Incidentally, I recently sold a Telefang limited version with antenna for 15$, I didn't anyone would want it. 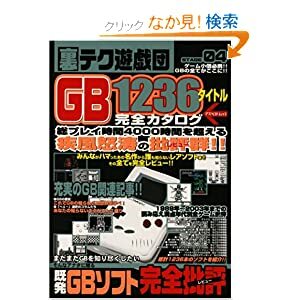 manuel: I have a book, it is called GB 1236. Are there two books? It's 1236, not 1238! My bad! There are 2 books, but the contents is the same. You have the newer edition with bigger pages. Okay, but it misses several games, such as "X" (mentioned earlier in this thread) and a few other. I couldn't find Hoshi no Kirby , which would be a weird omission. I went through every one of the non-color games in that book and wrote it down for my personal list... It took a long time. get what you can find, a book just went for 75$ on ebay.. that's why I ask people in Japan to buy the literature for me. I suppose I could dump the contents of the CD too but I don't think the CD has much use. Perhaps to get the games in katakana for copy and paste. funny thing with the cd is that it has links to where you can get the ROMs. also i could mention there are similar books for famicom and sfc.